VIP Sale Day @ Spencer Outlet Centre! Expired VIP Sale Day @ Spencer Outlet Centre! Race in to Spencer Outlet Centre's VIP Sale Day on Friday 22nd May for great deals on the latest fashion trends! -and roving entertainment throughout the Centre! 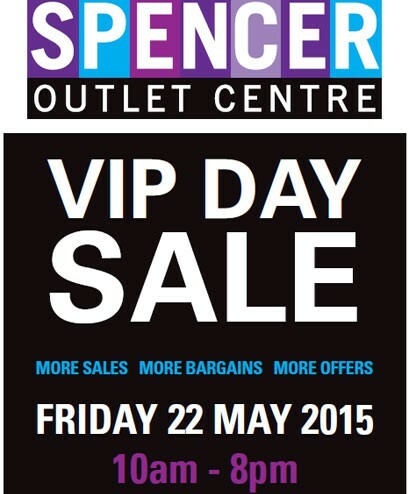 So don't miss out on the VIP Sale Day at Spencer Outlet Centre on Friday 22nd May! See in stores for great discounts and special offers!